Among the great music industry overachievers, there was Johnny Mercer and there is Herb Alpert. Like Mercer, Alpert has succeeded as performer, indie label entrepreneur and songwriter. In the 1960s, only The Beatles and Elvis earned greater album sales than Alpert’s Tijuana Brass. The talent roster at his A&M Records (co-founded with Jerry Moss in 1962) extended from the TJB, Sergio Mendes & Brasil ’66, Cat Stevens and The Carpenters to Liza Minnelli, Janet Jackson and The Police. As a songwriter, his early pop hits include Sam Cooke’s “Wonderful World,” Jan and Dean’s “Baby Talk,” the novelty smash “Alley-Oop” and the TJB’s debut success “The Lonely Bull.” Alpert, widely acknowledged as one of the foremost trumpeters of his era, also scored as a vocalist, bumping Simon & Garfunkel’s “Mrs. Robinson” out of the number one spot with his hazy rendition of Burt Bacharach and Hal David’s “This Guy’s In Love With You” in the summer of 1968. But Alpert’s skills extend well beyond Mercer’s. He is also a gifted arranger, producer, painter and sculptor, and, via his Herb Alpert Foundation, he ranks among the most generous philanthropists in the history of American show business. Alpert, a native Californian, first met Chicago-born vocalist Lani Hall in 1966 when he signed Sergio Mendes & Brasil ’66 to A&M. The year prior, Hall had replaced Wanda de Sah as the group’s lead singer. During her five-year tenure with Mendes, Hall helped shape such landmark hits as “Mas Que Nada,” “The Fool on the Hill” and “Day Tripper.” In 1972, she embarked on a solo career, delivering 14 albums in English, Spanish and Portuguese, including 1985’s Es Facil Amar which earned her a Grammy for Best Latin Pop Performance. In 2008, Hall briefly reunited with Mendes, performing “Dreamer” on his album Encanto. Like her husband, she is an accomplished producer. Alpert and Hall married in 1974. The careers have often intersected, but it wasn’t until 2007 that they fully joined musical forces. With pianist and composer Bill Cantos, drummer/percussionist Michael Shapiro and bassist Hussain Jiffry, the pair began performing at clubs across the U.S. From those dates came the live album Anything Goes, released in 2009 by Concord. Based on the success of that first full-length collaboration, Alpert and Hall recently teamed for their debut studio album, I Feel You, released, aptly enough, just prior to Valentine’s Day. A few days before its debut, Alpert and Hall sat down with JazzTimes‘ Christopher Loudon to talk about the new album. 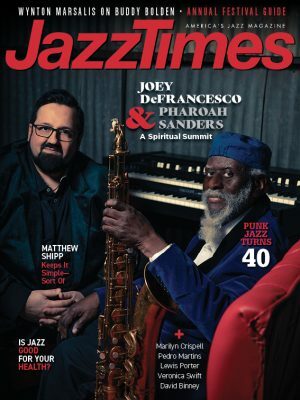 JazzTimes: To start with the obvious question, you’ve known one another for nearly a half-century, often worked together and have been married for nearly 37 years. So, what took so long for the two of you to join forces for a full-length studio album, and why now? 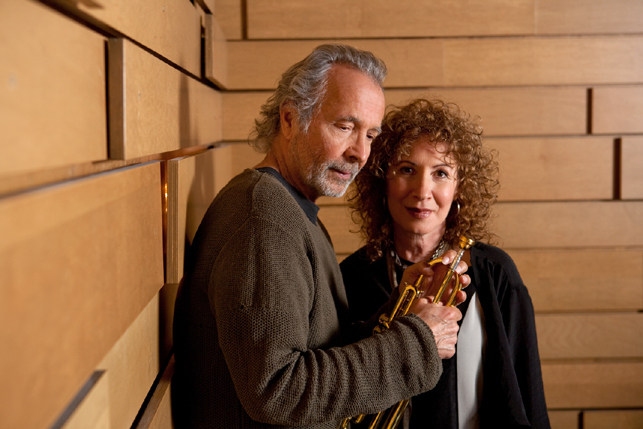 Herb Alpert: Well, about four or five years ago we were talking about maybe doing concerts in small venues and jazz clubs and see if we could have a good time performing together. So, we did that as an experiment and had had a great time. We loved the musicians we played with and we just continued on. That first album we did together, [last year’s] Anything Goes, came about after we started listening to the tapes that we’d made when we were performing. Those tapes were really intended only for our own edification, but when we listened back we thought, ‘Hey, this might make a good CD.’ We put that out and it got a great response. So, we thought we would try a studio album. Lani Hall: It was great doing the live album, even though it wasn’t planned, but we really love to be in the studio, to create the ambience that we hear in our heads and fool around with different sounds and different directions. So it was really exciting to get into the studio, and Herb is such a fantastic producer; he was totally in his element. JT: As both Anything Goes and I Feel You demonstrate, the two of you blend beautifully and seamlessly. What’s your secret? Alpert: I admire Lani as an artist. She is a world-class singer. It is wonderful hearing her night after night, and it’s fun playing both behind her and with her. It’s a win-win for me. Hall: This element of our relationship is unique because we are communicating solely through music. It’s thrilling for me to have these musical conversations with Herb as well as with the band. It’s a very intimate feeling to create and communicate that way. We respect each other, we’re best friends, we love each other, we like each other, we want the best for each other, so it’s a perfect situation that we both happen to be artists and in this relationship. JT: You draw significantly from the A&M songbook on this album. First, there is “Cast Your Fate to the Wind” which the jazz community associates with Vince Guaraldi but the wider audience links to both Sounds Orchestral and the folk-rock group The Sandpipers and their 1967 version for A&M. Alpert: That was a record that stuck out for me in the 60s. The Vince Guaraldi record had such a loose jazz feel. We were in pursuit of taking a recognizable song and putting our own little spin on it. Lani took a couple of liberties with the lyric. Hall: I wanted to change it into a more positive message. To me, “Cast Your Fate to the Wind” is a form of surrender, but if you listen closely to the lyric the song isn’t really about that. So, I changed a couple of words and tenses to capture that sense of surrender. JT: Tony Hatch’s “Call Me” has been covered by dozens of artists, but the version that resonates most is Chris Montez’s 1966 recording, again for A&M. JT: “What Now My Love” was the title track from the Tijuana Brass’s sixth album, and is still strongly associated with the TJB. Why the decision to redo it? Alpert: Actually, Lani and the guys had to talk me into it. I never wanted to revisit the old TJB evergreens. Then our drummer Michael Shapiro came up with this groove, and Lani had an idea how to play it, and all of a sudden it felt right. It didn’t sound anything like the TJB recording, which I certainly didn’t want to recreate, so it just kinda fell into place. Hall: We made it live in a different way. And that’s how we choose songs. We pick songs that have been in our heads for years and years and keep lists of them, and when we’re ready to record we grab those lists and start going through them and rehearse them and see if we can find a way to make them fresh. Hall: I didn’t record that with Sergio. I did it on an album called Brasil Nativo. Marcos Valle is one of my very favourite Brazilian composers. I always feel I have to include one of his songs one every album, and that particular song haunted me. I didn’t finish with it the first time. And we found such a touching way to do it, which had very little to do with the way I did it in 1998 with Dori Caymmi. This was a very different approach. I think that this version kind of takes off. It creates an energy that is really specific to Brazilian music. It’s that mix of primitive and kind of sacred. JT: Considering how iconic Peggy Lee’s version is, it seems a brave decision to cover “Fever.” But where Peggy’s treatment is lustfully forceful, yours seems more furtive and mysterious. Alpert: The word ‘mysterious’ is very apt. There should always be mystery in art, whether it’s painting or sculpture or a piece of music – that little thing that gets you thinking and conjures up all sorts of images when you close your eyes. Hall: I love that song. I love Peggy’s version. She is a wonderful artist. But this version does have mystery, and there’s sneakiness to it, too, like a snake slithering through it. JT: You opted to include two Lennon-McCartney tracks, “Blackbird” and “Here Comes the Sun.” Why those particular two? Alpert: It’s pretty hard to cover The Beatles. It’s like what someone once said about Thelonious Monk’s music: ‘How do you approach it?’ The answer is, ‘Carefully!’ I certainly respect The Beatles and what they accomplished, and they put their distinct stamp on everything they recorded. So in order to do [these two songs] in a way that makes sense, we had to try and find a way to interpret them that was a little left of center yet still lived creatively. And that’s how we approached them. 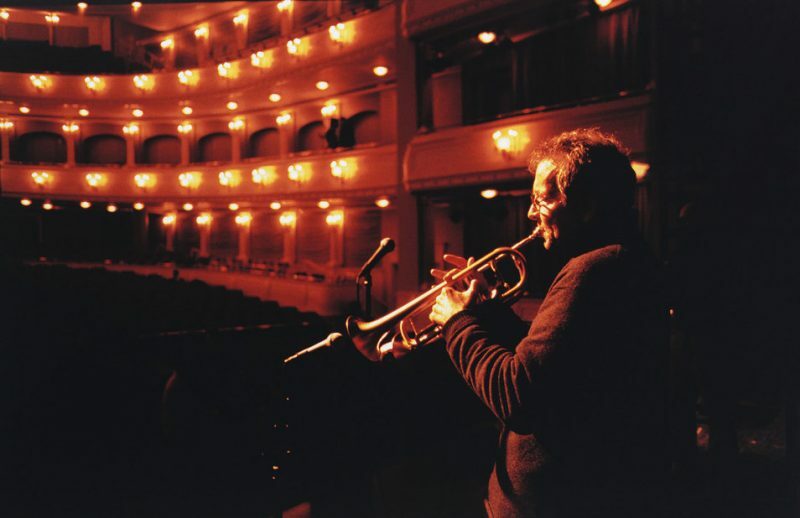 Hall: Sometimes when we’re rehearsing, Michael [Shapiro] our drummer or Bill Cantos our pianist will start playing an abstract rhythm or a random chord, and suddenly a song will pop into our heads. That’s what happened with “Blackbird.” Bill was playing these unrelated chords, and I suddenly started singing “Blackbird.” As for “Here Comes the Sun,” we had this rhythm we were using on another song, and decided we didn’t like the song but wanted to save the rhythm. Then Michael started playing it one day and we just started doing “Here Comes the Sun.” And, as you can hear on the album, the rhythm never lets up. It’s like a train going through, and just keeps building and building. It’s almost relentless. I thought it was so fitting for that song. JT: As both a performer and songwriter, Bill Cantos seems unquestionably an underappreciated genius. Alpert: I think the public will recognize him one of these days. He is incredible. JT: How did you come to choose Cantos’ “I Feel You” as the title track? Alpert: I was struck by the title even before I heard the song. And Lani took to it like a duck to water! Hall: I jumped on that one! Bill is such a great writer. We did “Morning Coffee” and “Who Are You?” on the Anything Goes album. Bill is constantly playing songs for me. This one had that kind of legit Broadway show tune feel, and it’s such a story. I just fell in love with it. JT: Mr. Alpert, apart from your chart-topping “This Guy’s In Love with You” back in 1968, you’ve never really been known as a singer, but you sing on several tracks here. Most interesting is your take on “Something Cool,” which is surely the first time it has been presented from a male perspective. Alpert: Oddly enough, long before A&M, I was living in this apartment and upstairs from me was Billy Barnes who wrote “Something Cool.” There’s something about June Christy’s version I always loved, and I adore the melody. We kind of played around with the gender so it would work. Lani produced it. We recorded it three different ways, and the last version we [got in one take]. Hall: First we were going to do it as a duet. I was going to be the girl at the bar who he was trying to pick up. And that just didn’t work! I heard it in that cool jazz way, and we weren’t doing it that way. I had that cool jazz version so stuck in my head that I told the guys, ‘this is 1957, in Tampa, Florida. It’s 4:30 in the afternoon. No one is there. There’s one guy at the bar, and one woman at the bar. No one’s listening to you. You’re hot and you’re tired. Now play.” And there it is. JT: Your version sounds just as downtrodden and bedraggled as June Christy’s. Alpert: I don’t quite see it like that. I think he was a traveling salesman. He was married. He saw this girl in the bar, and she sort of rang his bell. He wanted to start something, so bought her a drink, but then decided to take the high road. JT: If I had to choose one word to describe the album it would be ‘warm;’ incredible warmth, but also a hint of mysticism. Hall: There’s also a little Brazilian salted through there. That’s what I think brings that sense of mystery to the album. I find this album very worldly in that it has a lot of World Music on it. Even “Moondance” sounds very Middle Eastern to me. There are also a lot of African influences, and of course Brazilian. I think they’re all kind of mixed together, and our experience and musical sensibilities create this soup. JT: Three of the greatest female voices to emerge during the 1960s were Barbra Streisand, Karen Carpenter and Lani Hall. You played a significant role in the shaping of two of those voices. Alpert: When I auditioned The Carpenters, I was knocked out by Karen’s voice. It wasn’t my style of music per se, but she was totally unaffected. And, of course, she didn’t think she was a singer, she thought she was a drummer. I remember sitting on the couch in my office listening to their audition tape. The speakers were about ten feet in front of me. I learned this from Sam Cooke – I always auditioned artists with my eyes closed. So I had them closed, listening to this tape and it felt like her voice was right next to me on the couch. I met them a couple of days later, and told them how intrigued I was by their sincerity. It was honest music. When my partner in A&M, Jerry Moss, and I auditioned Brasil ’66, the first time I heard Lani I got that goose bumps feeling and knew she was the real goods. It was just one of those things! JT: To this day, people are often surprised that you’re both American by birth. Alpert: That was true in the old days. People thought I was from a mariachi band in Mexico. Since then, I think I’ve overcome that. But Lani has this incredible way of singing in Portuguese that is imperceptible. When she was with Sergio in Brazil people would come up to her on the street and speak to her in Portuguese, and she was singing it pretty much phonetically. She’s not fluent in the language but can sing it like a native. JT: Both Anything Goes and I Feel You are distributed by Concord. How did you land there? Alpert: I was friends with Hal Gaba, who started the company with Norman Lear. I loved Hal. He invested in our jazz restaurant [Vibrato Grill Jazz] here in L.A. We got along extremely well. When we met all the people now at Concord, it all fit very nicely. JT: Next year will mark the 50th anniversary of A&M. Any specific celebration plans? Alpert: This is the first I’ve thought about it. But it certainly seems warranted. I’m extremely proud of what we accomplished. JT: Your music has been heard in all corners of the world, but there has been significantly less fanfare about the Herb Alpert Foundation, which has donated tens of millions over the years and accomplished so much. What is the foundation’s main thrust? Alpert: It’s mainly focused on arts and education. We like to help worthy organizations that inspire kids without prejudice. It feels like the powers-that-be don’t really recognize the arts. They think of it as extra-circular activity, but it is a key ingredient in developing total human beings and in bringing the world closer together.